The Virginia State Bar Conference of Local Bar Associations has bestowed the 2016 Local Bar Leader of the Year Award to Mary T. Morgan, a partner in Golightly Mulligan & Morgan PLC in Hampton Roads. Morgan is the immediate past president of the Norfolk & Portsmouth Bar Association (NPBA) and has served in leadership roles in a number of other bar organizations including the James Kent Inn of Court, the Virginia Women Attorneys Association, the Virginia Association of Defense Attorneys, the Federal Bar Association, and the Portsmouth Bar Association. 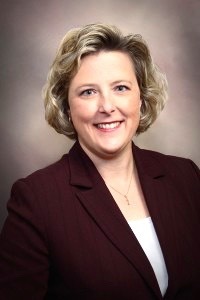 In nominating Morgan, Judge David W. Lanetti wrote that, “Although this nomination is for a bar leader award, true bar leaders take their legal training out into the community.” Lannetti noted that Morgan volunteers throughout her community in schools, churches, and the Edmarc Hospice for Children, where Morgan is chair of the board of directors. Morgan is a graduate of the University of Richmond School of Law and her practice focuses in the areas of professional liability defense, bar complaint defense, and general civil litigation. The Conference of Local Bar Associations will present the Local Bar Leader of the Year Award during its annual meeting on Friday, June 17, 2016, in Virginia Beach during the VSB Annual Meeting.